We are thrilled for our very own Neil Balani to be representing HKT Custom Clothiers in the AJC this week. Read Neil discuss the significance of custom jacket linings and how they can be important when expressing your personality. 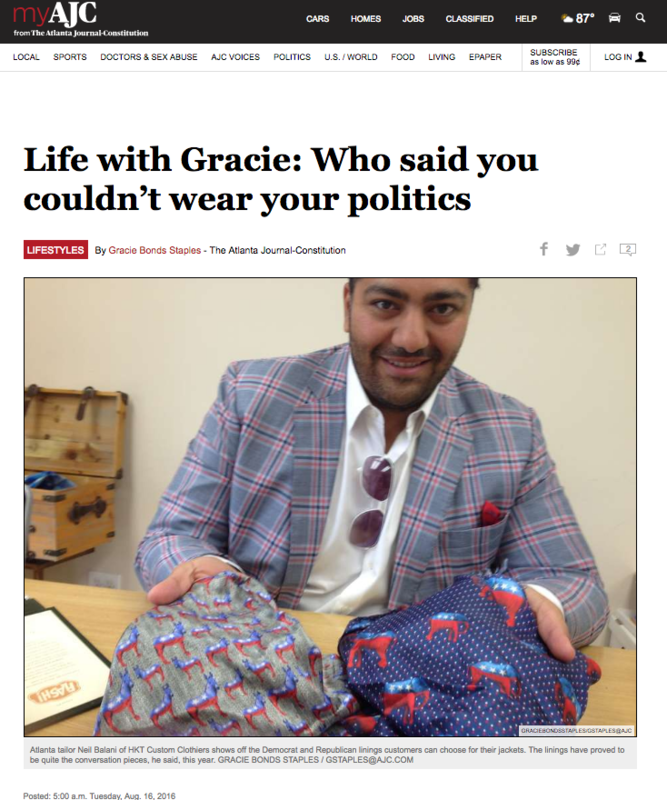 Our politically themed jacket linings take a front seat in this article as some of our esteemed customers describe their experiences with their custom HKT garment, and how they utilize it in politics.